1:04pm–#Milford CT– Police said a”medical episode” caused a woman to black out and crash into Kathy’s Famous Cookies 254 Melba Avenue. There were no reported injuries to the driver or to anyone inside the store. Post Road Photos contributed this photo. 6:19pm–#Fairfield CT– There was a rollover crash on Chambers Street in front of the I-95 southbound exit 24 ramp and in front of the Cumberland Farms. There were injuries reported. 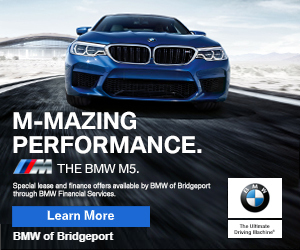 5:50pm–#Milford Ct–#cttraffic– A four car crash reported on the 95-15 connector southbound. Injuries reported.